A week ago I had bought a box of Bartlet pears to can for the year. I figured that I would have at least five or six days before they would ripen. I was dead wrong. It seriously took about five seconds for them to ripen and go beyond the point of being able to can them without them turning to mush in the jars. What to do with way over ripe pears? I flipped through my books and found a recipe for pear butter. I figured that my apple butter is a hit that I would try this recipe out. There is the recipe. Please read the rest of the post because it all changes. I start off by pealing, quartering and coring the pears. 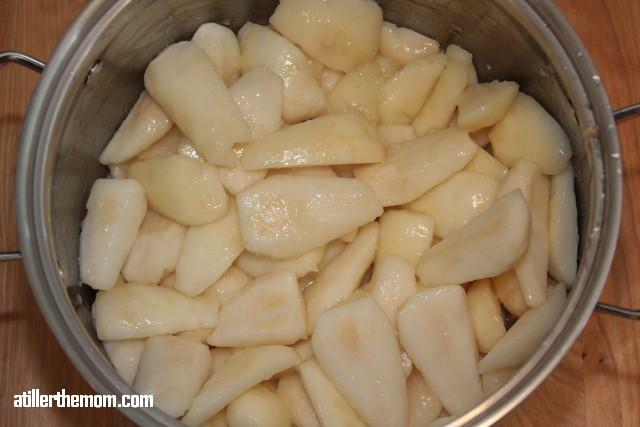 I put them into a big sauce pan, and cook until pears are soft adding only enough water to prevent sticking. I added no water because there was enough liquid from the pears. I usually add fruit fresh to keep the fruit from changing color. As the fruit cooks down I mash it with a potato masher. 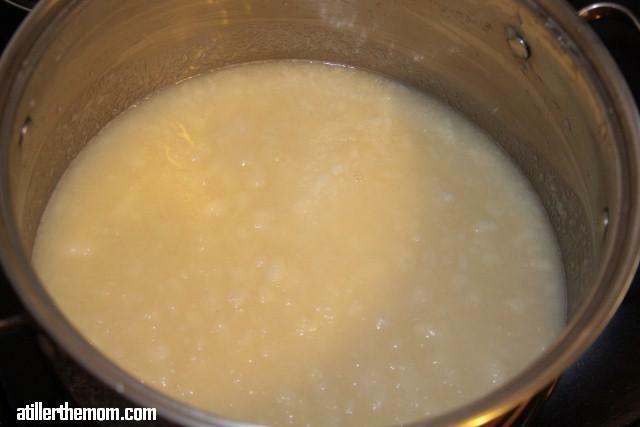 It will start to look like apple sauce. 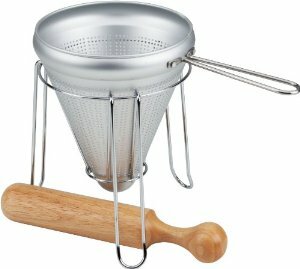 When fruit is soft and cooked down I run it through a food mill or food press. 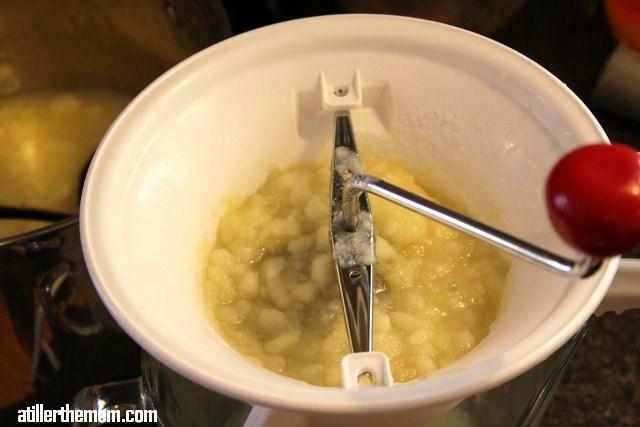 With all butters you want to cook them down until there are thick. I found that my pears had way too much liquid to them and I really did not want to sit around stirring them until the liquid cooked off so I also put them in a strainer to drain off the liquid. 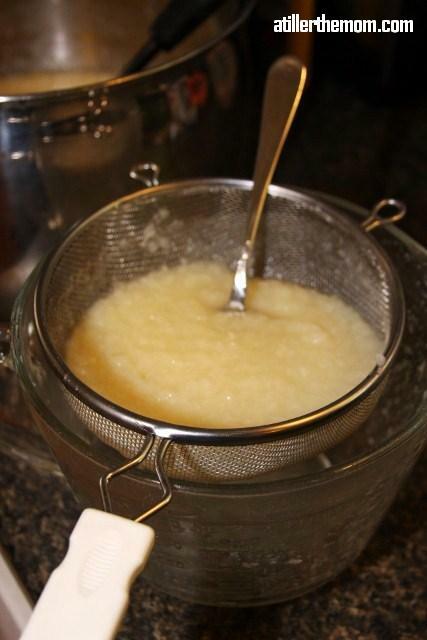 After it was all said and done, I was left with about 4 cups of pear pulp. So my notified recipe is..
Rinse out your pot, add in all the ingredients and cook on high heat until thick, stirring constantly. This takes about 15 minutes. 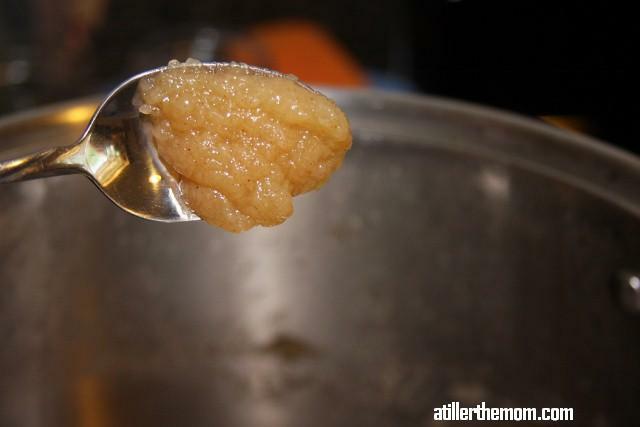 Scoop hot butter into sterilized jars leaving 1/4 inch of head space. Wipe jar rims and adjust lids. Process for 5 minutes in a boiling water bath. It should be pretty thick. Now I am really not bitter about this, only because this stuff taste amazing… but I only got 6 1/2 half pints out of a 24 pound box of pears. For those of you who buy in bulk you know how little that really is. I believe my husband called it gold because that is totally ridiculous. 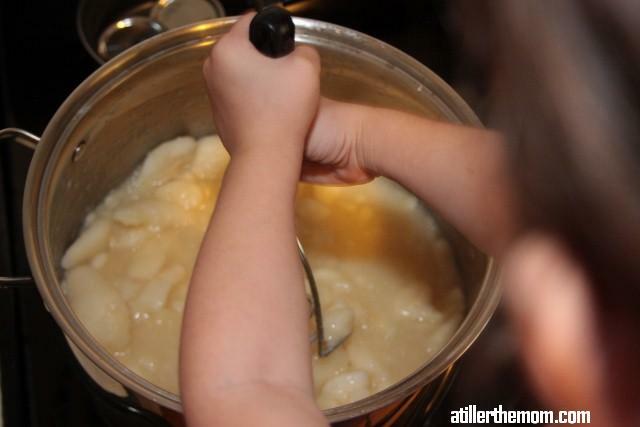 I only recommend this recipe if you can get pears for really cheep or free. I am not kidding, it is delicious… but expensive if you are canning to save your family money. This entry was posted in Preserving. Bookmark the permalink.